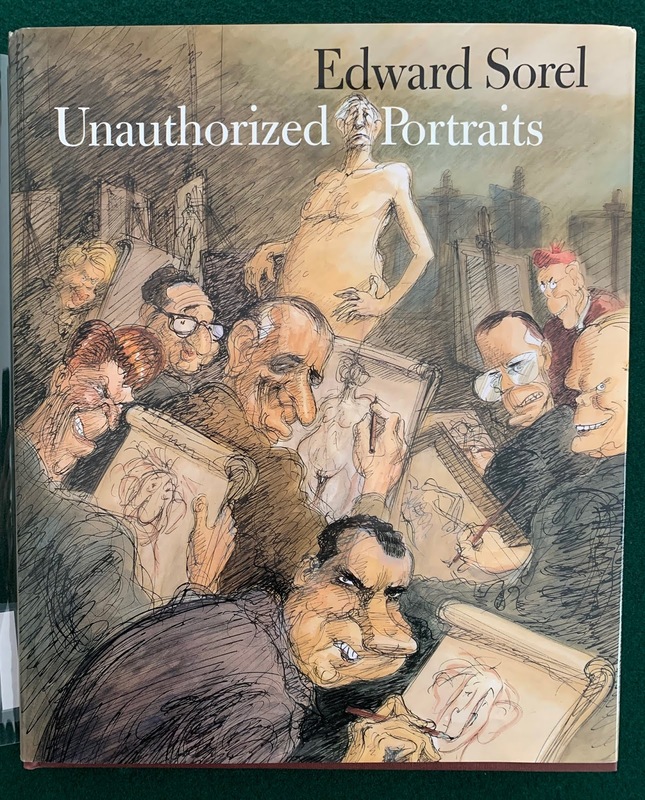 The cover of Edward Sorel's Unauthorized Portraits (1997) is an illustration he originally created for the January-February 1993 cover of Print magazine. 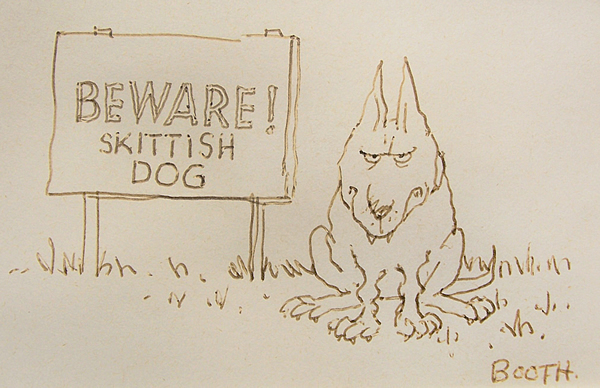 Some of the artist's more prominent subjects try their hand at caricaturing him. They're not too bad, really. Sorel creates outstanding work in his studio, but has he made any sketches at book signings? This blog has yet to discover any. 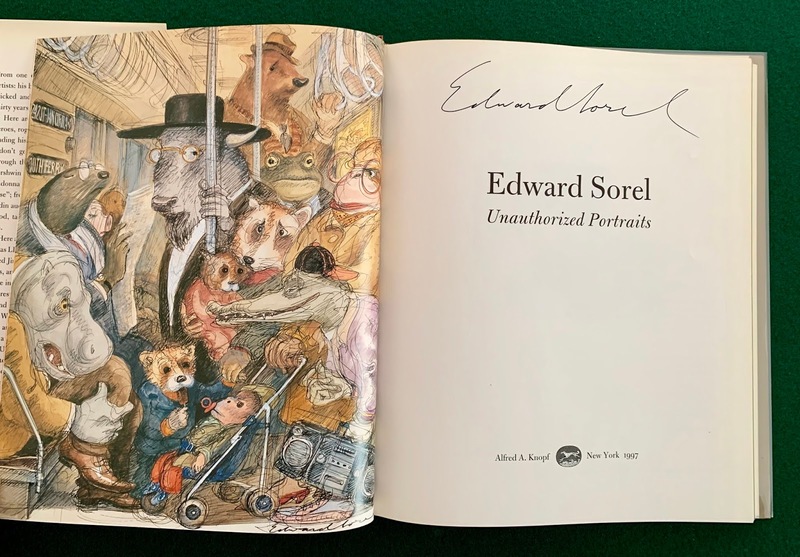 Note: The fact that I haven't found any books signed by Edward Sorel with original sketches in them doesn't mean they don't exist, but if they do they're probably quite rare. Anyone who comes across a souvenir book drawing by Sorel should drop everything and photograph it for this blog.